By Tara Justine with research support from The Northwest Room. 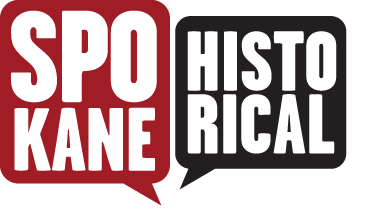 Spokane Public Library Archives. As Kettle Falls, a popular Native American fishing and gathering spot slipped slipped below the surface of Lake Roosevelt, Indians gathered for one final ceremony. For centuries, Kettle Falls was a fishing spot and a gathering place. When Grand Coulee Dam began construction in 1933, thousands of years of history and tradition suddenly changed. By 1940, the waters of Lake Roosevelt began to rise, slowly covering the falls, taking with it centuries of history. Losses included native burial sites and entire communities. 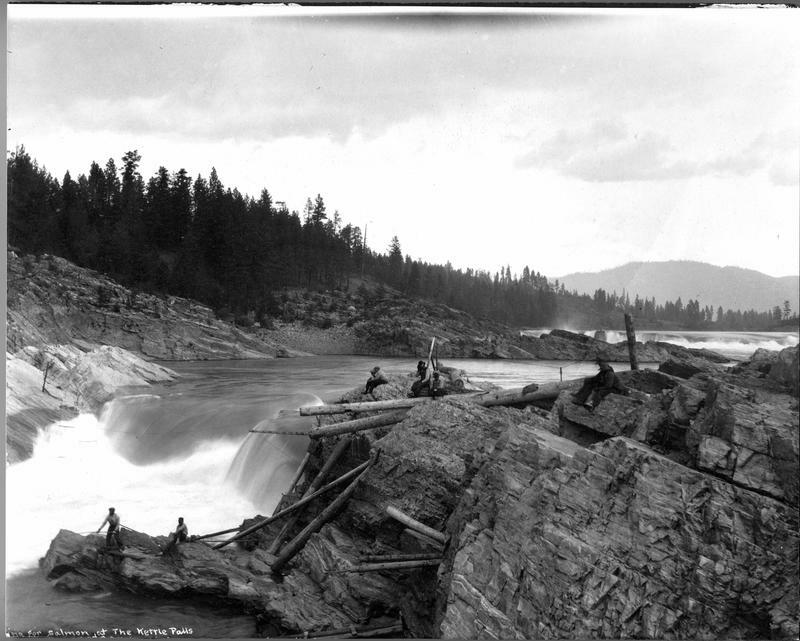 But most of all, the dam that swallowed Kettle Falls also took away the salmon. A final ceremony was held at Kettle Falls in 1940. As many as 10, 000 people attended the ceremony including Indians from all over the Pacific Northwest. Colvilles, Tulalips, the Blackfeet Indians of Montana, the Nez Perces, Yakimas, Flatheads (and) Coeur d’Alenes. They all understood it was the end of a 10,000 year era. Together, they gathered alongside white politicians, spectators and media. ; They called it The Ceremony of Tears. "The Indians have fished here for thousands of years.," Bone pronounced. "They love this spot above all others on their reservation because it is a source both of food and beauty. We should see to it that the electricity which the great dam at Grand Coulee produces shall be delivered to all the people without profit, so that the Indians of future generations, as well as the white men, will find the change made here a great benefit to the people." Compensation to the tribes was disputed for decades. In 1994, the Colville Confederated Tribes won a lawsuit totaling 53 million dollars. In addition, 15 million annually was awarded from 1996 onward. Today the Upper Columbia United Tribes (UCUT), a coalition of five tribes, is fighting for the restoration of salmon on the upper Columbia. Other organizations, such as Save Our Wild Salmon, are working to eliminate dams in the lower Snake River in Idaho and other places along the Columbia River. Advocates point to the removal of the Elwha River dam in Washington State in 2012, which resulted in the return of salmon in huge numbers. The fishery at Kettle Falls is gone for now, but it may not be gone for good. Gathering at the Ceremony of Tears: Members of tribes that gathered at Kettle Falls for the Ceremony of Tears. ~ Source: Image courtesy of Lake Roosevelt National Recreation Area. 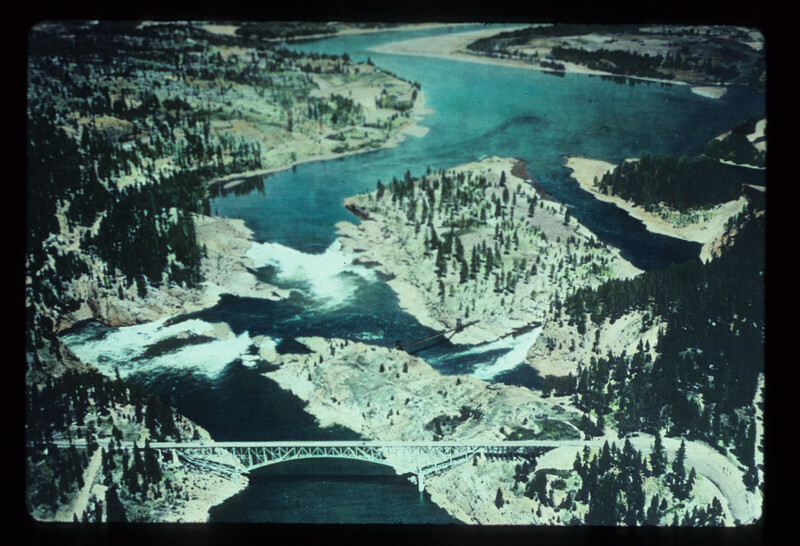 Aerial View of Kettle Falls Circa 1938: This is an aerial photograph of Kettle Falls taken just a few years before the Ceremony of Tears and the waters of Lake Roosevelt rose. ~ Source: Image courtesy of the Lake Roosevelt National Recreation Area. 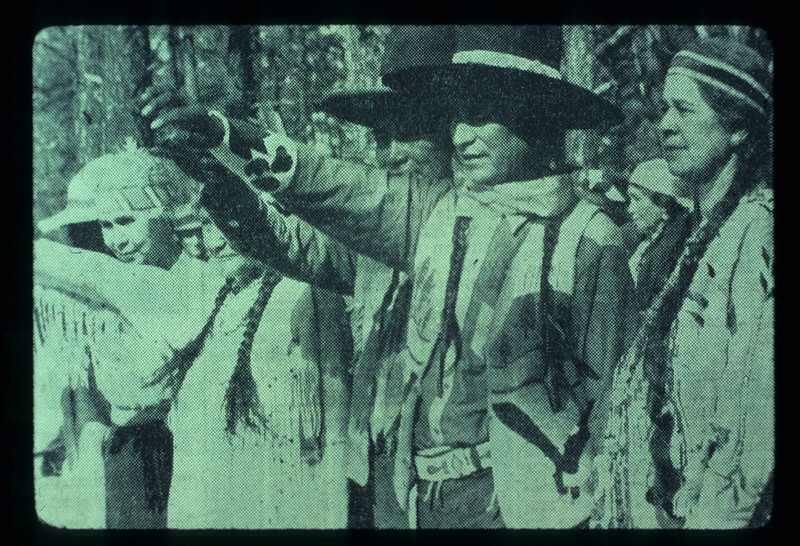 Tara Justine, “The Ceremony of Tears,” Spokane Historical, accessed April 24, 2019, https://spokanehistorical.org/items/show/668. Spokesman Review, June 17, 1940. Tate, Cassandra. “Native Americans Begin Ceremony of Tears for Kettle Falls.” March, 2016.